Remembering Willie Bermingham. | Come Here To Me! Willie wrote his own obituary, something we have posted on the site before but which is worth re-posting again. I’ve always enjoyed the line about teaching bureaucrats a little manners. Willie Bermingham landed at the Rotunda Hospital, Dublin 29th March, five years before the big snow of 1942. One of a family of seven with a father -a farmer, merchant, dealer, turf cutter, scrap man or just a hard worker, and a mother- a great woman to milk cows, feed pigs, cut turf or feed the nation. Educated at Goldenbridge, St Michael’s Inchicore, on the streets, in the bog and at the university of life itself. Married with 5 children from 17-5 years. Hobbies include hoarding junk and curios and foreign travel. 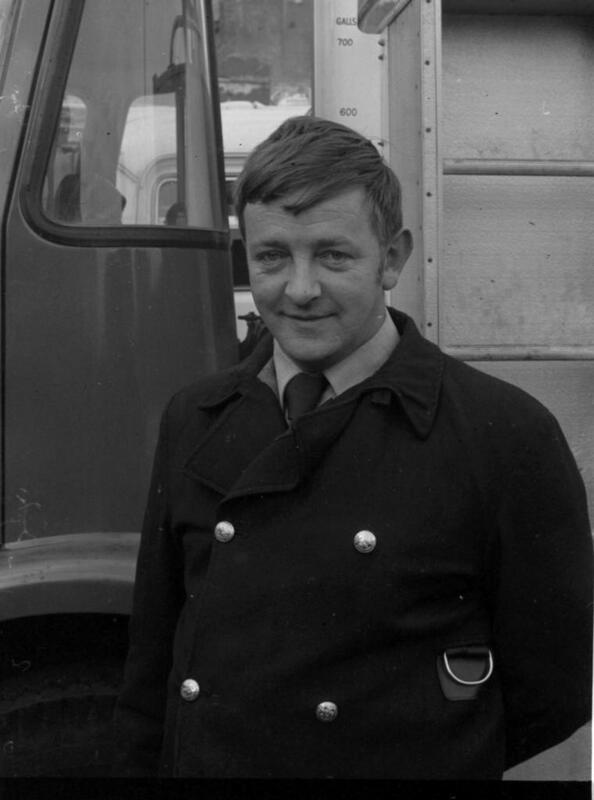 Joined the Dublin Fire Brigade in 1964 and spent a long time pushing for the pension. Favourite food, good old irish stew and lots of fish. For breakfast several mugs of tea at work. Also loves to eat lots of red tape to teach the bureaucrats a little manners. The best way to remember Willie is to continue to look out for the old and the needy. You can donate to ALONE here. I’m delighted by this. ALONE is a charity close to my heart, and I’ve had a lifelong admiration for Willie Bermingham.